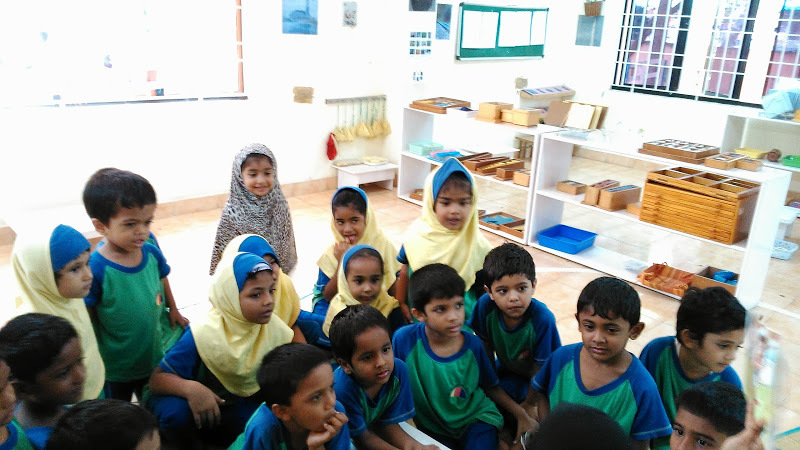 Aneesa Jamal from Al Qamar Academy shared the following note and photos from their storytelling sessions. 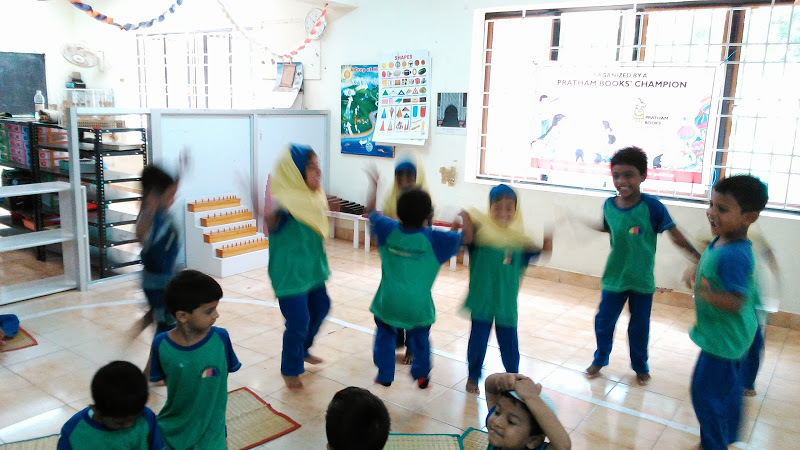 Al Qamar Academy is operated by the Al Qamar Trust, a registered non profit charitable minority trust. 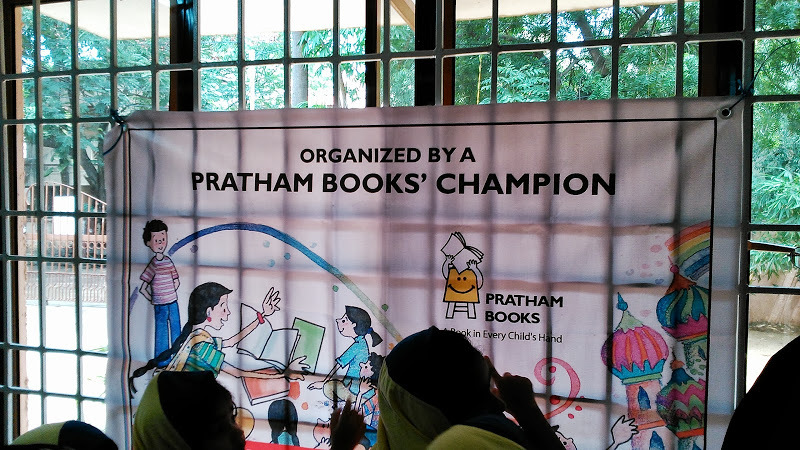 Al Qamar Academy participated in the celebrations for the International Literacy Day by hosting one of the story telling sessions “One Day One Story” event sponsored by Pratham Books. 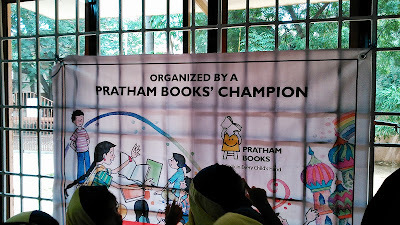 This was one of the 1000 story telling events being organized in various different languages all over India. 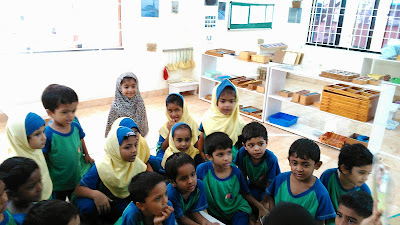 At the Al Qamar Montessori, 2 & ½ year olds sat mesmerized at the tale of a little fawn “Smile Please”. They could completely relate to the little fawn who trips over a boulder and falls down. The 5 year olds got to hear the story of “A Miaow and a Roar” a funny tale about how a lion’s roar got interchanged with a cat’s miaow. Children loved the interactive reading session where they waggled their ears like rabbits, swayed like elephants, grunted like bears and roared like lions as they followed the stories. The smiles on their faces were as much a joy as their promise to spend more time with books and discard television watching. 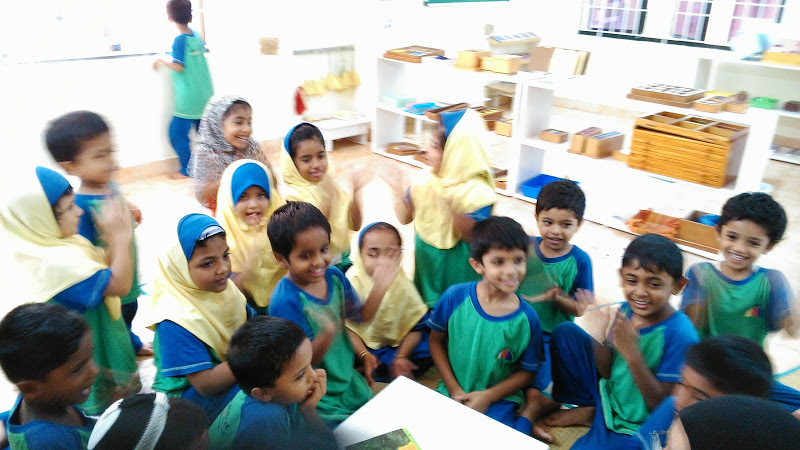 Thank you Aneesa Jamal for spreading the joy of reading!